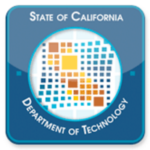 The 90-minute program included an update on the Pre-Qualified Vendor Pool for Agile Development – Digital Services 2018 Refresh (referred to as PQVP or ADPQ) that was originally established by the California Health and Human Services Agency in 2016 as part of the Child Welfare Digital Services project. CDT has taken over managing the initiative as a statewide resource. Currently the list of pre-qualified vendors to provide Agile services to the state includes 24 companies. Departments that have utilized the pool include Child Welfare Digital Services, Department of Health Care Services, the California Student Aid Commission, California Department of Public Health and the Department of Motor Vehicles, among others, said Marlon Paulo, CDT Deputy Director for Procurement. The department wants to expand the Agile pool beyond the current number of companies and categories of services. Among new categories are full stack developer and data scientist. Procurement officials are currently evaluating prototypes as part of the process and expect to complete the refresh within the next 30 days. They also have plans to use a “generic RFO” to be used as part of CMAS and ITMSA leveraged procurement vehicles. Companies not included in the current cycle are encouraged to subcontract through those on the official list, Paulo said. The best way to stay up to date on the pool is through CDT’s GitHub site here or by sending an email to [email protected]. They plan to soon launch a website to make it easier for companies to follow their efforts.